Owner, James Law Firm, P.L.L.C. Richard James was raised in Corinth, Mississippi in a family of four. He attended The University of Mississippi, where he received a Bachelor of Accountancy (1999) and a Master of Taxation (2000). While at Ole Miss, he received a Taylor Medal, the top honor given to each of the university's school's top students, and he passed the Mississippi Certified Public Accountancy Exam with the second highest score in the state, among all first-time test takers. In 2003, Mr. James received his J.D. from Tulane Law School where he served on The Tulane Law Review. He then received an LL.M. in Tax Law from The University of Florida, one of the top tax law programs in the country, where he served on The Florida Tax Review. Mr. James has served as a general counsel of a chemical company and a construction company, where he obtained valuable experience with contracts for the acquisition of business, industrial leases, sales of goods, and other commercial transactions and with commercial litigation. He also received valuable experience with working with businesses on a daily basis, including management, human resources, and accounting. 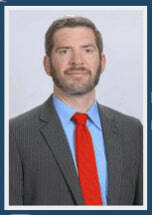 Mr. James' practice focuses on business law, tax, and estate planning/probate. He advises businesses on general corporate matters, commercial transactions, and business acquisitions and sales, and he advises families with respect to property law, probate, and estate planning. He lives with his wife Molly in Montgomery County, and they have young boys. They also have two adult children and a granddaughter. Mr. James and family attend the Ark Church in Conroe. In his spare time, Mr. James enjoys spending time with his family, coaching his sons' teams, college football, reading, and grilling.